As you set up baby's nursery, it's easy for your mind to wander to all the sweet moments to come as you read bedtime stories, giggle together at the changing table and study every detail of their sweet face while singing lullabies. 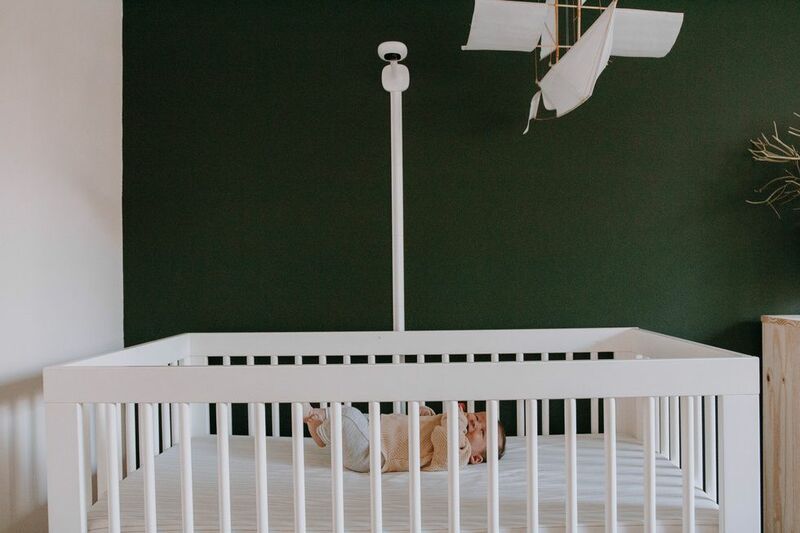 But at the end of the day (the fun-but-exhausting day), the true purpose of a nursery is to help your baby—and you—get the best night of sleep possible. And the Nanit Smart Baby Monitor can help by giving you the information (and peace of mind) you need to rest easy. "The place that we sleep has a huge impact on our sleep hygiene," says Motherly's Sleep Expert, Rachel Gorton, a certified infant and toddler sleep specialist. "Babies, just like any other child or adult, need a sleep promoting environment, free of distraction and stimulation to help them sleep well." Babies require a lot of sleep throughout the day, too. To create a snooze-able space, Gorton recommends investing in blackout shades, especially if the nursery receives a lot of direct sunlight. At night, don't add unnecessarily bright sources of light, which Gorton says can accidentally distract or stimulate your baby when the real objective should be sleeping. With Nanit's soft-glow night light, the room will be illuminated just enough for you to navigate—without disturbing baby. The optimal sleeping temperature for babies and children is between 68 and 72 degrees Fahrenheit. But if your thermostat isn't exactly reliable, Gorton says it's really helpful to be able to quickly determine the temperature in your child's nursery with help from the Nanit Plus Smart Monitor. One of the perks of being a parent today? You don't have to guess what's going on in baby's nursery. With the high-tech Nanit Plus Smart Monitor, you can keep an eye not only on your sleeping baby (aww!) with a bird's eye view, but you can also instantly get data to help you better understand (and address) your child's sleep patterns. That means no more not-so-quietly sneaking into the room in the middle of the night at the risk of disturbing them. As Gorton explains, "With the Nanit software you get alerts directly to your phone and you can watch your baby's activity from anywhere, in or outside of the home, giving you piece of mind and helping to eliminate unnecessary interruptions by not having to enter the room for check-ins." During those inevitable midnight visits, you don't want to bump and fumble around just to find more diapers. Keep everything accessible so you can navigate with your eyes shut. (Which, let's face it, they very well may be.) That way you can be in and out with minimal wake-up time for you both. Set the mood for a restful night with neutral, cool colors. Although it may seem like a small design detail, Gorton says this can make a significant sleep difference. "Many nurseries are decorated extravagantly with bright colors and many objects or toys, which can be extremely overstimulating for sleep," she says. Good color palettes include earth tones and blushes. The last thing you want is to accidentally wake your peacefully sleeping baby with noise from another room. With the Nanit Plus Smart Monitor, you can turn on nature sounds so your baby can tune out whatever else is going on in the house. Having toys in the room can send mixed signals to your child. As Gorton explains, having playthings within reach of the crib is "confusing for your child as she may wake up thinking it is playtime if her room is filled with toys." Store those away from baby during sleepy time to make the nursery a clear snoozing space. This article was sponsored by Nanit. Thank you for supporting the brands that support Motherly and mamas. 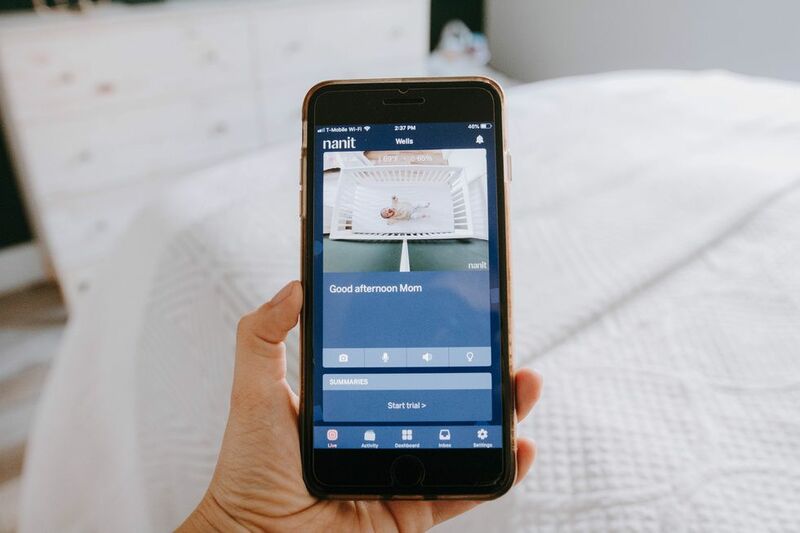 Nanit is the first smart monitor for the modern family that utilizes the most advanced and secure camera technology ever introduced to the home. Nanit combines computer vision, machine learning, and advanced camera sensors to measure a baby’s sleep cycle by providing actionable insights that lead to improved sleep for the entire family.